B&W took the same approach in designing their Companion Fifth Wheel Hitch as they did with their famous Turnover Ball™ Gooseneck - A hitch when you need it... A level bed when you don't. 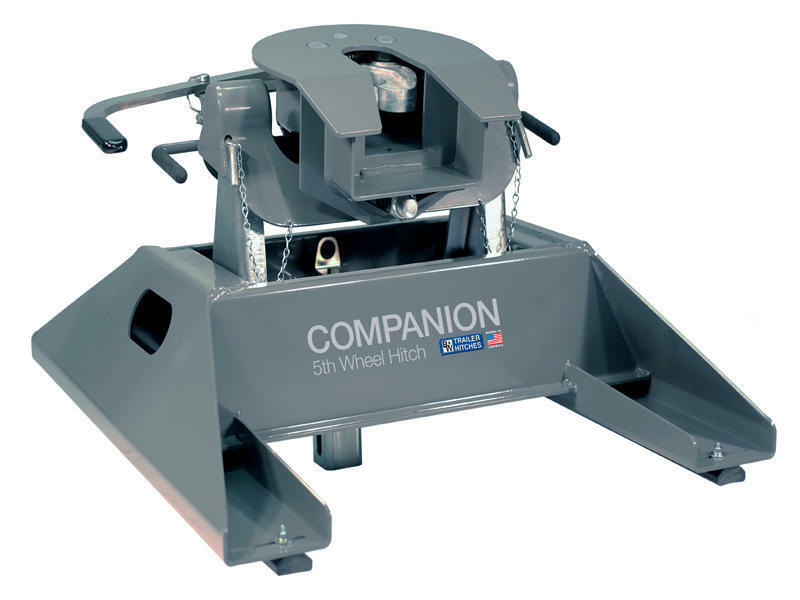 The Companion fits directly into the Turnover Gooseneck base and provides 20,000 lbs. of towing capacity. Both the fifth wheel and the gooseneck hitches are sold separately. This fifth wheel will NOT work with BW-1257 (Toyota Tundra) or BW-1309 (Ram 1500) under-bed gooseneck systems unless a different mounting post is purchased. Mounting post RVP-3521 is sold separately and must be special ordered. 5 Year Warranty! Made in U.S.A.